​If you want to make certain that you can avoid mold issues developing inside your home, you'll need to take the proper steps to ensure that it doesn't. Might we suggest that you consider encapsulating your crawl spaces? Encapsulating your crawl space involves applying a strong polyethylene barrier over the walls, ceiling, and floors of your crawl spaces. It proves most beneficial when it is applied over the entire crawl space and then sealed with tape to attach the pieces of the space together. Encapsulating your crawl space does more than keep out moisture, it provides you with a better quality of air, helps prevent infestations, energy efficient, and it offers you an overall, comfortable living space. Once our contractor has completed the job of sealing the encapsulated areas of your crawl space, they will need to condition the air if they are going to be able to get it to a healthy level of humidity. Every home will experience some level of humidity. Keeping it at the right level also helps keep out an excessive amount of moisture, which can lead to problems. They generally condition the air by using an industrial size dehumidifier. Once the encapsulating process and the dehumidifier have both been applied to your crawl space, your home is protected against too much moisture in your home. Now you can have peace-of-mind that there won't be a problem developing under your nose that will cost you later. The moisture that comes into your home can become a serious problem if you do not get it under control. The vapors can quickly begin to spread through porous cement as moisture from the ground moves through it ends up inside your home. If you are noticing a musty smell from your basement, you spot mold in your home, it costs you more to cool your home, insulation is damp, pest infestations have developed or you notice the windows of your home sweating, contact Energy Tech Insulation to handle your crawl space encapsulation. Homeowner's notice these types of things every day but they simply go on ignoring them concluding that it is simply something that happens. While this is true, it doesn't have to be this way and this is why we are here to help. It could be less expensive if you were to take on the responsibility of encapsulating your crawl space yourself; however, it could end up costing you more than you thought if you don't do it right. A professional service; such as Energy Tech Encapsulation will make a complete survey of your crawl space to determine if encapsulation is appropriate for you. If it is then they can get to work on helping to address any problems they may notice with your homes foundation or too much moisture inside your home. While we do not want to discourage anyone from doing it themselves; however, they should definitely know that if it isn’t performed correctly they will incur other problems that can be even more costly. 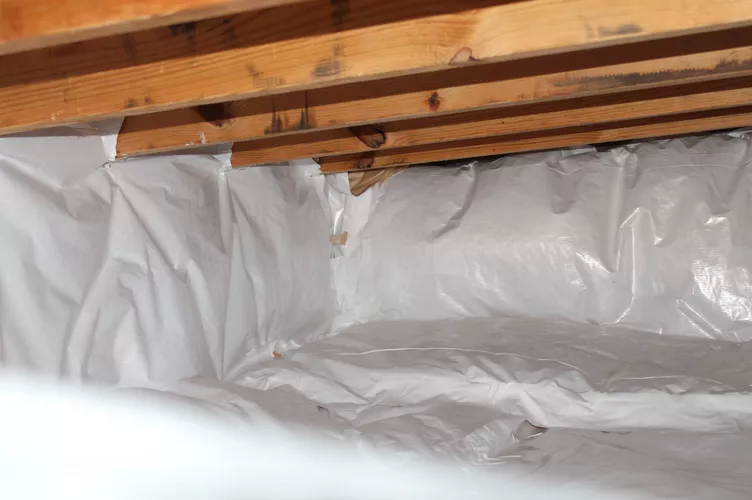 A professional insulation service will know the ins and outs of encapsulating your crawl space, whereas the average person may have to proceed without a complete understanding of what is required to effectively handle the job. You may not know it but if you have a termite problem, there are some termite companies that have restrictions on just how much of your crawl space should be insulated. These are the things that a professional insulation company would know. This is why it is in your best interest to leave the job in the hands of a professional insulation contractor. We happily serve our customers Monday through Friday 9am to 5pm and Saturdays by appointment only. Our business is closed on Sundays.